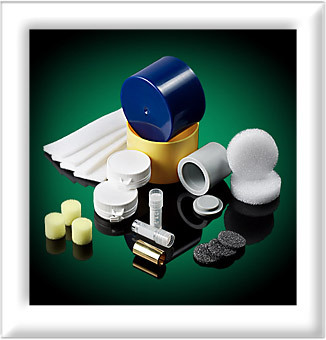 Medi-Ray is at the forefront of technology and a leader in the development of Tungsten and its alloys for lead shielding solutions, the radiopharmaceutical, medical and aerospace industries, and counterweights. For over 45 years, Medi-Ray’s research and development team have focused their efforts on the invention and improvement of shielded laboratory apparatus that safeguards the health of clinicians in the nuclear medicine environment. From unique syringe holders and dose calibrator shielding to waste storage containers, Medi-Ray has combined antimonial lead, tungsten, leaded glass and a variety of other metals and specialized coatings to create a diverse line of specialized products to meet all your nuclear medicine laboratory apparatus needs. Tungsten’s high density and electronic structure make it one of the main sources for X-ray targets and shielding from high-energy radiations for the radiopharmaceutical industry. Tungsten is a sintered metal that is formed into blanks under high heat and pressure. It is roughly 40% denser than lead, making it extremely hard and not malleable like lead. Other benefits of tungsten shielding are that it has a high radiation attenuation, is easy to keep clean and sterilize, is a nontoxic material, has dimensional stability and is hard and durable so there is no need for a steel or plastic coating. Tungsten high-density metals provide the properties required in radiation shielding for therapy as well as diagnosis. Other applications include collimators, syringe and vial shields and radioactive source containers. Tungsten-based high-density metals have a more superior shielding capability than lead without any health or environmental concerns and high-density materials effectively absorb gamma radiation and X-rays. Tungsten-based high-density metals are often specified for radiation shielding in aerospace, medical, military, and nuclear energy applications. Tungsten heavy alloys require 1/3 less space as lead shielding and possess no threat to the environment. Whether shielding radioactive material used in nuclear medicine, radiation therapy, or gamma radiation inspection units, Medi-Ray is the best choice for your application. All of our products and services meet the highest standards and are compatible with the current metallurgical and radiation shielding requirements. Medi-Ray is located at 150 Marbledale Road in Tuckahoe, New York. Call us toll-free at 877-898-3003 or 914-979-2740. You can also email sales@mediray.com. If you would like additional information, please visit our website at www.Mediray.com. We are committed to offering the highest quality service to all our customers.